West Coast publicans soon regretted increasing the price of a beer by 1d. 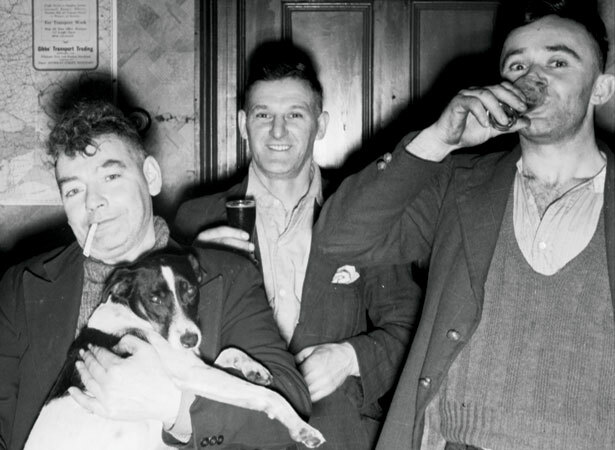 During the Second World War, price controls were applied to many essential commodities, including beer. The controlled price of a 10-ounce beer had risen from 6d to 7d in 1942, but the increase had not been implemented on the West Coast. The Licensed Victuallers’ Association’s decision to bring local beer prices into line with those in the rest of the country provoked determined resistance from the West Coast Trades Council, which represented most union members in the region. Within days, a boycott of the ‘sevenpenny pubs’ had been called and the few men who chose to drink at them were ostracised. Meanwhile, business boomed in the one Greymouth hotel that had not raised its prices. With neither side willing to back down, an embattled Labour government was in an embarrassing position in the party’s heartland. A solution was found with the creation of working men’s clubs – cooperatively owned entities which could set their own prices. As the first three clubs opened at Christmas 1947, the price in hotels quietly reverted to 6d. We have 2 articles, related to Greymouth beer boycott provoked .